In Case Your Business Partner Harasses You, What Would You Do? You and your friend have started a business together. After some point in time, he wanted to separate out. Eventhough, you don't like it, but, you agreed to separate out. When the process of separation is going on, your partner has started harassing you and your family. He started destroying your wealth. The separation is not completely over, and you are holding more than your share of the business. The extra share of the business is less than the damage that caused to you by your partner, either directly or indirectly. In more technical terms, if your partner had not destroyed your wealth, then you would have saved much more than the extra share of the business that you are holding. Now, would you return his share of the business, when he is harassing you and your family, and still continuing the destruction of your assets? I am sure many people will not return his share of business. Few kind hearted people may return after everything is settled, and only after he stopped the harassment and fighting. If a person who calls himself as a well wisher of both the parties advise you to return money, would you really call that person as a well wisher. If he threatens you to return the money, still do you call him as a well wisher? Let's suppose, if you call him as a well wisher, do you think your family (who is suffering everyday) will also call him as a well wisher? If you decide to return the money to your partner after listening to your well wisher, how does your family feel? Disclaimer: This post is completely fiction, and resemblance to any actual incidents is purely coincidence. If there is any resemblance to any actual incident, and if anybody posts that as a comment, that comment would be deleted immediately. At one point of time, Google was the best in everything, and there was no feature that could have been developed in a better way. I don't know, what happened in the recent time (don't know whether the changes in the top management effected this or not), Everything is becoming worse, and one had to continue with google, since there is no other competitor for most of the things. Gmail - The new interface is very bad. I don't know who is the new program manager for Gmail. It seems, he/she gets one or two mails per day. That's why, he/she might have designed that way. The old program manager designed gmail for heavy load. They might have fired him/her to save the cost. Google Reader - All comments of gmail are applicable to reader as well. They removed sharing feature to promote plus. So, those who read others' shares have to visit plus to read. Even then, it won't share the entire post. It would share only the first few lines, and the user has to visit the original site to read it. Buzz - I don't know what made them to kill Buzz. But, it was the most simple interface, and only because of that, visitors to my blog has increased by many times. I am still using the old interfaces for gmail and blogger. I could not find any way to use the old interface for google reader. Security - Previously, Google has given the maximum preference to the security of the user's accounts. Now, it seems, they are least bothered about it. Android OS - (Tested with Samsung Galaxy i5510). When you login to the gmail account from mobile, it stores the password. One cannot sign out, and removal of the password is also not possible. One has to do restore to factory settings to actually remove it. User can login to a dummy account, and from there, they can add another account, by which they can login to gmail and others. When they are done, they can remove that account. But, the problem is, till, you remove that account, it stores the password. If you lose the phone, when the account was added, they would get the access to the entire account. One has to change the password in that case. Or one has to enter the password, everytime, they want to access their account, and remove the account, once they are done. It is too tedious for anyone who worries about security. There was one old gmail app from google, which works in Nokia, that does not store the password. It stores only the cookie. So, the user can access the gmail account at any time without entering the password. Since, it stores only cookie, we can remotely sign-off, in case we lose the phone. But, I cannot find that app now. Another worst thing is, once you change the password, you cannot reuse the old password. To upload any application in google app engine, you cannot use a browser. You have to upload it from command prompt/eclipse or other tool. When you use command prompt, while uploading, it asks for the username and password of the gmail account. Once you enter the username/password, anyone from that system/login can update the same application without entering the password again. It stores the cookie in the system and google never says where the cookie is stored. The cookie would expire after the time period that is set in the settings of the google app engine. The time period varies from 1 day to 2 weeks. In Linux, it stores in ~/.java/.userPrefs/com/google/appengine/tools/admin/prefs.xml file. If we delete those, then while updating the application, it asks for username and password again. If you are having paid version of any service from gmail, then to renew it, you have to store the credit card, or should be ready to bring down your service for some time. Any service provider would give option to renew their service before the due date. But, google does not give that option. You have to store your credit card details in the account, and on that specific date/time, it would charge your credit card. If your credit card does not work on that date for any reason, your service would be disrupted. If you do not want to store the credit card at all, then one day before, you have to cancel the service, and immediately take the service. But, during that process, the service may be disrupted. Google says the data they store is secure. But, they made everything else as very insecure. For those who do not know how the google authentication/security works, if they login to google account from android mobile, or login to app engine or give their credit card details in a shared gmail account, then there is no security to their account/credit card. Since Google is indispensable, and there is nobody in the competition, we have to live with these. There is no other option. The present day politicians have defined the protest as troubling the people and not allowing anyone to do their work. They defined it in such a way that, anything that does not trouble others is not a protest at all. Unfortunately, people also started believing the same. Recently, I came to know a different way of protesting. Some time back, the Gopuram of Sri Kalahasthi collapsed, and after that, Government has started a committee to check all the temples and the strength of the structures. The committee has given a report on many ancient temples. For the Gali Gopuram in Mangalagiri, which is the tallest Gopuram in A.P., the committee has given report that, the foundation is not very strong. Then, the Chief Minister of Andhra Pradesh has sanctioned a bill to demolish the Gali Gopuram and construct a new gopuram in the same place and granted Rs.10.5 crore. This was objected by many people at Mangalagiri. The Gali Gopuram is popular, mainly because it is an ancient structure. If they are going to demolish it, there is no need to create that Gopuram again. But, if the Gopuram can be protected by any means, then it must do that. The social organizations have consulted few Professors of Civil Engineering to check the feasibility. They suggested few measures by which the Gopuram can be protected with an expenditure of Rs.1 Crore. But, the Government has sanctioned Rs.10.5 Crore to demolish and construct a new Gopuram of the same size. Of course, the amount is no way enough to construct the same. The social organization in Mangalagiri wanted to protest the government on this. They have conducted drawing competitions to all the students in Mangalagiri in front of the Gali Gopuram. Since, it is also a main area in the town, it attracted lot of crowd, and almost everybody came to know about this issue. The organizers have also conducted signature campaign for this. By the awareness of this in the public and their support, the government came down and withdrew the demolition of the Gopuram. People must encourage positive ways of protests and strongly oppose negative protests. If we are not going to discourage the negative protests, then it would trouble us only. If we encourage positive protests, it would help us solving our problems easily. Thanks to Aasara organization and Madiraju Govaradhana Rao for fighting to save Gali Gopuram of Mangalagiri. It seems, I am having bad time in buying books. After not buying anything in the books exhibition outside ISKCON store, now, I could not buy even ISKCON books. ISKCON has published the Bhagavatham in 18 volumes in different languages long back. But, in Telugu, they have taken a lot of time to publish. Starting from 5th volume till 12th volume, I bought the Telugu Bhagavatham books as and when they were published. Recently, I came to know that, they have published all the volumes in Telugu. When I asked for the last 6 volumes, they said, they would sell only the entire set and not individual books. I said, I would buy the entire set, and would sell the first 12 volumes back to them, and asked how much would they willing to pay me. But, they rejected that, and said, they won't buy back, because, they already had enough of the first 12 volumes. I did not want to spend three times money, and have written to the Head office in Mumbai, and they said, they would take around 2 months to publish those books separately. By using the astrology chart and the present planetary periods, the astrologers say, during a particular period, whether one gets money or loses money etc. Probably, in my present planetary period, the planets are against me buying books. Almost 15 years back, one famous telugu hero released a spiritual movie which was a big hit then. After that, in an interview, he said, he was a pure vegetarian. In the same interview, when he was asked what was his favorite food item, he answered Chicken. One person that I know, boasts as, everyone in their family are big devotees of Lord Krishna and everyone of them are pure vegetarians. As another statement, I was told by the same person that, their son was not feeling well and he could not eat eggs. One of my friends is from a caste, in which people do not eat non-veg. He never utters the word meat, non-veg etc. When he wanted to refer non-veg, he says something like, "The one that you eat" (Eventhough, I don't eat non-veg). He eats eggs, and he argues with me that, eggs are vegetarian, and he is a pure vegetarian. Another person whom I know, eats non-veg, but does not eat on tuesday, friday and saturday. That person says, they are better vegetarians than me. The reason that I was given was, they use different utensils for veg and non-veg. So, on those days, they avoid non-veg completely. Since, I eat in hotels, it is possible that, they might have used the same utensils for non-veg also. So, they are better vegetarians than me. Many people claimed that, I am not a devotee. After accepting that, now the people who eat non-veg claim that, they are better vegetarians than me. I like the following story very much, which I got as a forward long back. After reading the post bhOndOO proposes, and posting the extract in my blog, I felt like posting this also. My husband is a Software Engineer by profession, I love him for his steady nature and I love the warm feeling when I lean against his broad shoulders. Two years of courtship and now, five years into marriage, I would have to admit, that I am getting tired of it. The reasons of me loving him before, has now transformed into the cause of all my restlessness. I am a sentimental woman and extremely sensitive when it comes to a relationship and my feelings. I yearn for the romantic moments, like a little girl yearning for candy. My husband is my complete opposite; his lack of sensitivity, and the inability of bringing romantic moments into our marriage has disheartened me about LOVE. "I am tired. There are no reasons for everything in the world!" I answered. He kept silent the whole night, seemingly in deep thought, with a lighted cigarette at all times. My feeling of disappointment only increased. Here was a man who was not able to even express his predicament, so what else could I expect from him? And finally he asked me: "What can I do to change your mind?" Somebody said it right... It's hard to change a person's personality, and I guess, I have started losing faith in him. Looking deep into his eyes I slowly answered: "Here is the question. If you can answer and convince my heart, I will change my mind. Let's say, I want a flower located on the face of a mountain cliff, and we both are sure that picking the flower will cause your death. Will you do it for me?" He said: "I will give you your answer tomorrow...."
"When you use the computer you always mess up the Software programs, and you cry in front of the screen. I have to save my fingers so that I can help to restore the programs. You love traveling but always lose your way in a new city. I have to save my eyes to show you the way. You always have the cramps whenever your "good friend" approaches every month. I have to save my palms so that I can calm the cramps in your tummy. Thus, my dear, unless I am sure that there is someone who loves you more than I do... I could not pick that flower yet, and die ... "
That's LIFE, and LOVE. When one is surrounded by love, the feeling of excitement fades away, and one tends to ignore the true love that lies in between the peace and dullness. The following is taken from BhOndOO Proposes written by Rupesh Nasre. It is one of the good proposals that I have read. I thought about it umpteen number of times. I am not the smartest person you know. I am not the richest person around. Nor am I the most eligible bachelor. I may not be as warm as your parents, but I care for you. I may not be your best friend, but I respect your feelings. I may not be the most revered person around, but I am true to you. I am not omnipresent, but I am always there for you. I may not know what to say when you are sad, but I will be able to offer you a listening ear. I may not know how to make you smile, but I will smile with you. I may not be the best person around, but I will be good to you. And until recently, I used to believe that I will be able to convince you by showing how much I… how much… I love you. However, I realized that I am not the only person who loves you so much. All your friends do. Your relatives do. Your parents do. Perhaps much more than what I can. They all can support you emotionally, financially, psychologically. They can give you anything you want. They can make you smile. They can keep you happy. They can create the best world for you. So I have nothing special or more or better to offer than anyone else. Neither more intelligence, nor more wealth, nor more love. Nothing. There is only one way I can become special. And I would be special only if… you love me. The party which demands for a single code bill for all the religions is a communal party. The party which introduced different code bills for different religions is a secular party. Many people and poets say that, Women have more forgiveness than men. Just few points for food for thought. If a guy proposes a girl for love or marriage, and if the girl is not going to accept the proposal, then their relationship would be broken except in exceptional cases. If a man and woman have strong argument in anything in professional or personal life, then their personal relationship also would be effected, and undoing may not be possible in most of the cases. If the guy has really done some mistake knowingly or unknowingly, which effected a girl, and even if the guy is ready to fix the situation or trying to understand what the mistake that he has done, it is very rare to find the girl who would let the guy know the mistake that he has done, and no need to speak of finding girl who would cooperate with the guy to fix the situation and re-establish the relationship. With sincere apologies to the women who have forgiveness. Books Exhibition in Chennai started on 5th Jan 2012 and it would continue till 17th Jan 2012. First time, since I started attending Books Exhibitions, I did not buy anything other than ISKCON books. The reason can be one of the following. I have all the books. There are not enough books in the books exhibition in more than 500 stalls. One disappointing thing in the books exhibition was, there was no stall for Telugu books. For politics, I could find only one stall of publications division of the government. I wanted to buy the last volume of the freedom movement, which contains the happenings just before the Independence, like Partition etc. But, they rejected to sell just one volume, and they insisted to buy the whole set. I did not want to spend Rs.1200 for a book of Rs.300. So, finally ended up buying nothing outside ISKCON store. Generally, in ISKCON stall, I don't buy anything, because, either I have their books or have already read those. But, this time I found two books that I did not have and have not read, and bought those. I assumed that, I would buy lot of books in Chennai Books Exhibition, and did not show interest in going to books exhibitions in Bangalore, Hyderabad or Vijayawada. Because of that, I saved lot of money this year. In Hindu theology nothing is prohibited, but a menu of prescriptions and enumeration of consequences of your actions. The role of chief opposition party is very important in the ruling of the government. Many times, the chief opposition party is as important as the ruling party. When P.V.Narasimha Rao was the Prime Minister, then floor leader of the Chief Opposition Party (BJP), L.K.Advani, publicly praised him as the best Prime Minister after Lal Bahadur Sastry. Other than L.K.Advani, I am not aware of any other floor leader of the Chief Opposition Party praising the leader of the ruling party. 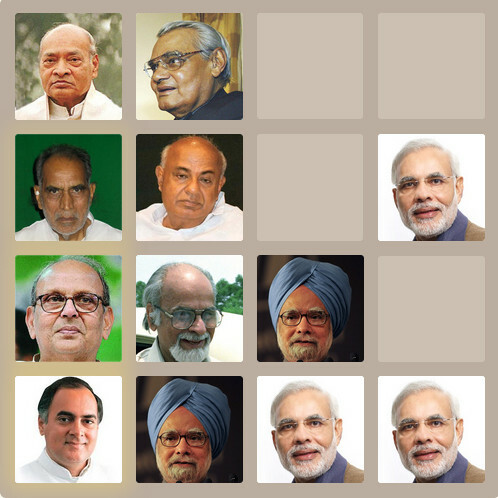 BJP has given full support to all the economic reforms that P.V.Narasimha Rao brought. When Chandrababu Naidu was Chief Minister of Andhra Pradesh, he tried to introduce private operators in Bus service. But, Congress opposed it, and he could not do it. When Congress tried to the same, TDP stopped it, and finally nobody did it. Everyone praises Manmohan Singh for his strong will to get the nuclear deal. But, he was the one who strongly opposed Vajpayee, when NDA government had done Nuclear Tests. After Manmohan Singh became PM, Pranab Mukherjee criticized BJP for taking the credit of Nuclear tests, eventhough, everything was done by Congress government. BJP or Vajpayee never tried to take credit which they have not done. After the death of P.V.Narasimha Rao, Vajpayee clearly said, P.V.Narasimha Rao gave him a chit which says, "Bomb is ready. Go and explode". Any sane person would clearly understand, who is giving credit to whom. The floor leader of the Chief Opposition Party is officially given the Cabinet Minister status, and he can contribute to the public almost like a Cabinet Minister.